I write this from our apartment in central Nairobi, where we have had an extremely interesting week. We were able to meet a consultant working on the Well Told Story project (funded by the Gates Foundation) and an advisor to Africa’s Voices who has put us in touch with endless contacts in the NGO sector. We also had the opportunity to attend a networking event for Social Enterprise at Strathmore University. Here we spoke to individuals working on a huge range of projects including the One Acre Fund – which supports members of the local community who own up to one acre of land and advises them on how to use their land most effectively. We also met with with a local DJ who works in the slums of Nairobi. Having changed the way we communicate with our client and manage expectations of our own team, the second week of our Global Consulting Project in Thailand saw the project pick up pace and the team settle in further. We were keen to be more proactive to provide deeper insights for our client into the work we are doing, and have thus scheduled weekly project meetings to update on key milestones and discuss the project trajectory. The work itself has provided the team with opportunities to talk with senior officials within Siam Commercial Bank and with executives in other financial and non-financial institutions including: BCG, Siam Cement Group, HSBC, Westpac and Citibank. The Global Consulting Project is truly an applied learning project. So far we have discussed and incorporated learnings from Management Praxis, Corporate Finance, and Strategy and Marketing classes. Through qualitative research we are gaining a clear sense of the challenges local banks face when expanding overseas as well as impacts on customers and competitors. Continued quantitative research will further enlighten and support our findings as they crystallise in the coming days. Our team – two members from Thailand, one from Japan, Hong Kong and the US – has also developed in how we approach project work, learn from each other, and clarify and manage our priorities. We have outlined objectives, values, and ground rules which concern not only Global Consulting Project work but also a desire to learn from and about each other. Each team member has a dedicated meal to share his/her experiences and stories, and the group is travelling to Samui this weekend for a halfway break when we will have a mid-project review of content, process, and well-being. Based on the top-down approach which requires us to first analyse the market size and identify attractive industry/sub segment and specific applications; we decided to focus on four major industries where we will play. We cannot forget we play in the Brazilian market, which is very different from other markets such as the US, Europe or Japan, in terms of the capacity for high-tech and effective collaboration. It is proving very interesting to build a strategy to tackle ‘custo Brasil’ (Brazil cost) which makes situations even more complicated. We cannot simply transfer common business models from the US or Europe, for example. In addition to the top-down approach, we are also working on another way of identifying very niche applications. 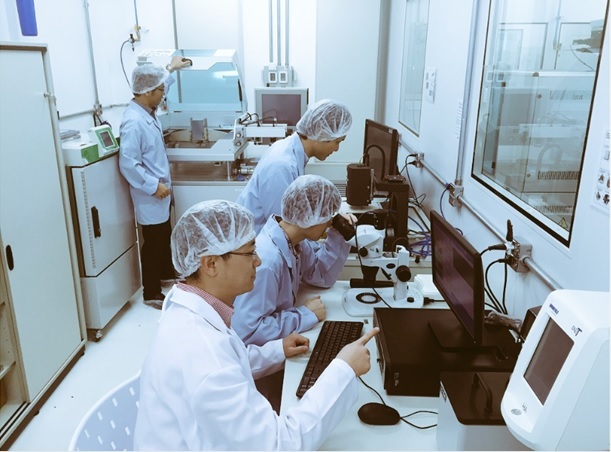 This approach is important for the client because we cannot compete with Chinese mass production manufacturers or experienced Western and Japanese companies. We are now trying to identify the current capability gap between both technical and non-technical (e.g. human resource, marketing, finance) capabilities and the requirements of each application, applying resource based view framework, to come up with a strategic business model. We qualitatively and quantitatively analyse these capabilities. This week we have also observed the CEO and managers meet investors almost every day in the office, with discussions of innovation and opportunities. Visitors have included an American chemical giant and a leading Taiwanese OEM firm. We were allowed to talk with them and these conversations motivated us very much moving forward.